Do you like wood work inside your home interior? Doesn’t it give royal look when done on the walls? Now we’ll be discussing wood carving that what exactly it is. Wood carving is a form of working wood by means of a cutting tool in one hand or a chisel by two hands or with one hand on a chisel and one hand on a mallet, which results in a wooden figure or figurine, or in the sculptural ornamentation of a wooden object. This phrase may also refer to the finished or final product, from individual sculptures to hand worked mouldings comprising part of a tracery. The moment we are done with the phrase wood carving, now its time to talk about wood carving sculptures. We do witness many wooden objects or articles in several homes lying on the shelves as centre pieces or decoration pieces. We also see wood work in wall art ideas. Wood is one of the finest materials that are used in our daily life house hold products and even in every field of life. But still it is relatively less in use when compared to stone and bronze because the wood sculptures are usually vulnerable to decay. Inspite of all pros and cons wood sculptures are praised and appreciated worldwide. Wood is still one of the best materials for art loving people. 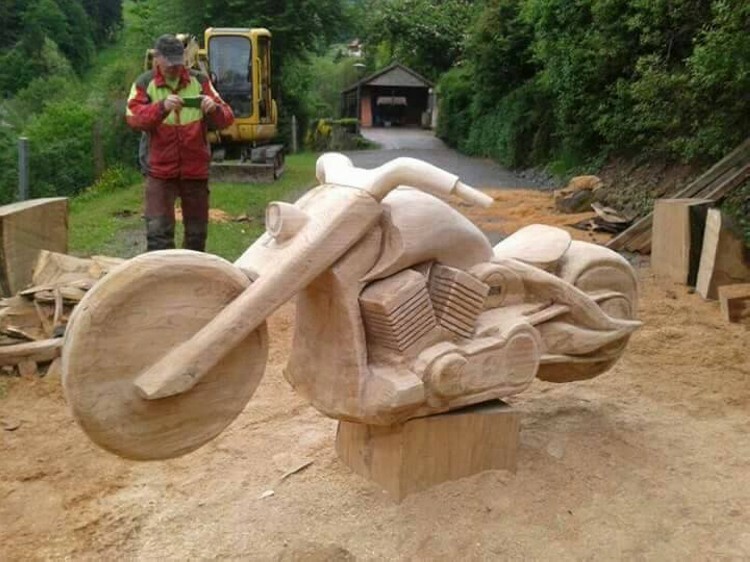 Here we have come up with a great idea of motorcycle wood carving sculpture. 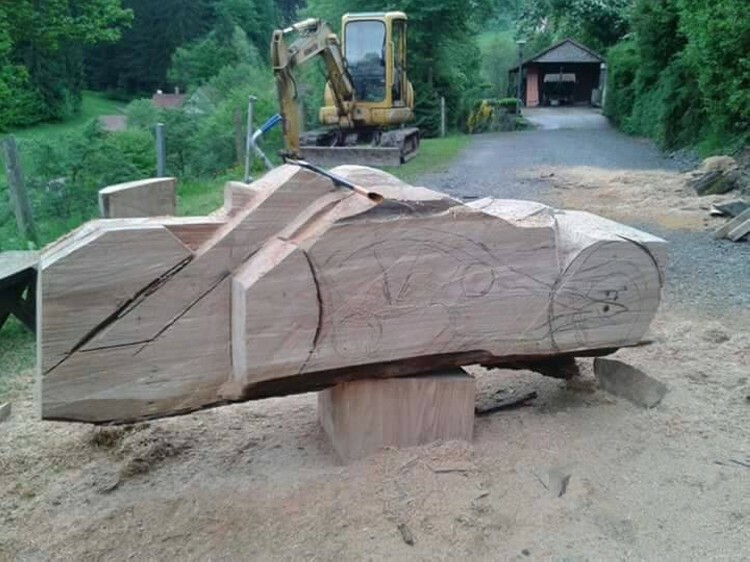 Though this motorcycle sculpture is not that handy or simple, but it is worth making efforts at all levels. It is certainly going to pay you well in admiration. 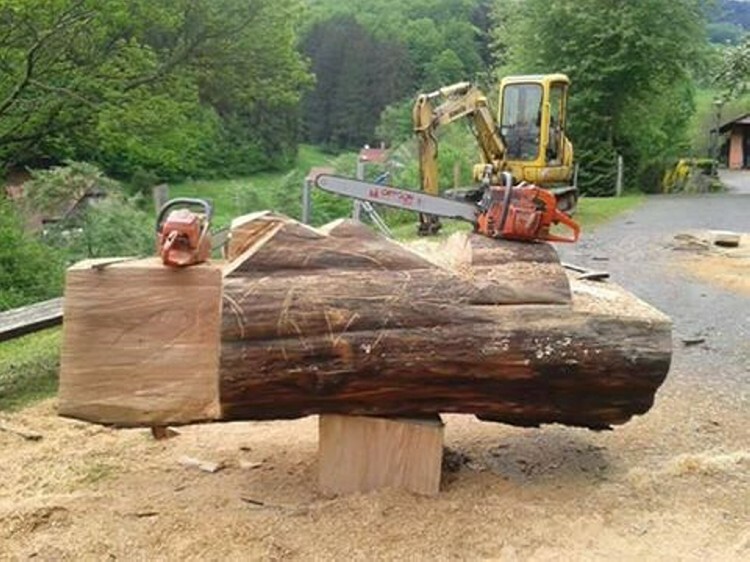 As shown in the picture, a major chunk of a whole tree is placed, its upper layer is smoothened out, sketches are drawn on the internal layer, and then they are cut accordingly with a miter saw. 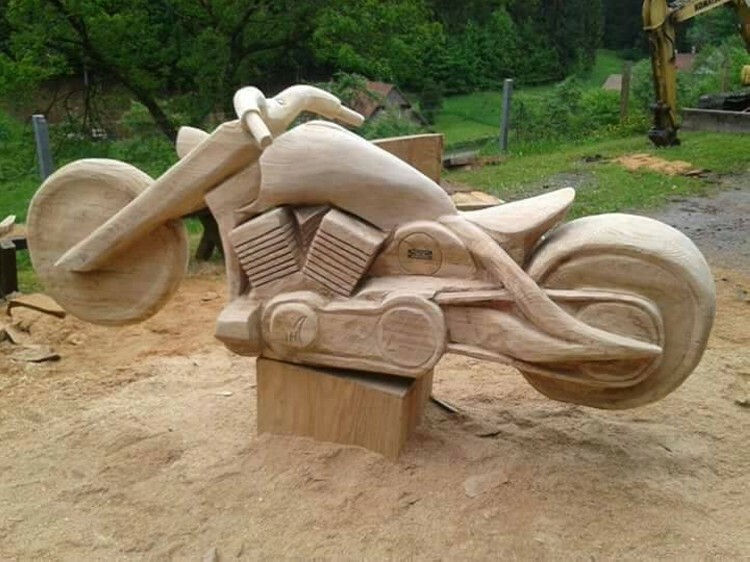 this motorcycle wood carving sculpture is well worth all the fatigue.